The Roosevelt Avenue Community Alliance is hosting the directors of a film about gentrification. ELMHURST — A community group opposed to plans for a Jackson Heights-Corona business improvement distric is hosting a screening of a documentary that looks at the impact of gentrification on small businesses across the city. The Roosevelt Alliance Community Alliance, a group that includes local business owners against the Jackson Heights-Corona BID, are sponsoring a screening of The Vanishing City, an award-winning documentary that takes a critical look at changes made in New York City in recent years. Those changes have pushed out small, immigrant businesses and contributed to gentrification — which will happen if the plan for the improvement district is implemented, the group says. 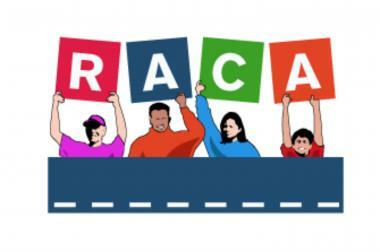 The RACA was created in the fall to protest the plan for a business improvement district along Roosevelt Avenue, from 82nd Street to 104th Street. The group says the fee for the BID will push out smaller, immigrant-owned businesses. However, those in favor of the plan, including Councilwoman Julissa Ferreras, say the fee for businesses will be small and will provide much-needed services to revitalize the area. The Vanishing City will screen at Terraza 7 on Saturday, Jan. 4 at 5 p.m., and the directors will be present after the screening for a discussion. For more information, visit their website.